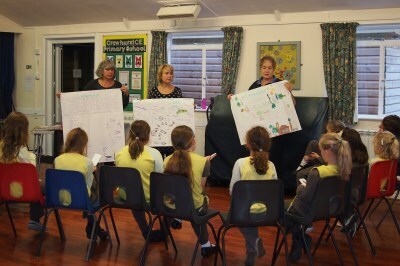 Towards the end of last year we met with staff and pupils at Crowhurst Primary School to talk about the Neighbourhood Plan and see how Crowhurst School can be involved as we go forward. These meetings and the Neighbourhood Plan get a mention in the November and December School newsletters and we have a summary of what pupils most wanted to say about the village. Lower speed limit around the school, make a safe parking area. Make more spaces for dens and playing. Where to build new houses ? 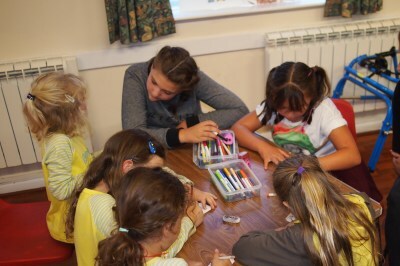 We also made a vist to Claverham in November and talked to the school's Crowhurst-resident pupils. They really helped us by filling in surveys and giving us their views about the village in general as well as the Neighbourhood Plan. A big thank you to the 18 students who completed our Neighbourhood Plan survey. Your answers and comments are really helpful. Below is a brief summary of what you told us. 67% (12/18) students feel that Crowhurst is a good place to live, and all students (100%, 18/18) feel safe living in the village. However students are a lot less positive about having things to do with 39% (7/18) saying there are not enough community activities or groups for them to take part in. Whilst almost all students (94%, 17/18) are satisfied with access to greenspaces and country side, less are satisfied with access to education (50%, 9/18), sports facilities (33%, 6/18) and health care (11%, 2/18). Nearly two thirds (61%, 11/18) are dissatisfied with access to public transport. When asked to tell us the best thing about living in Crowhurst, being quiet and peaceful came top (9 mentions), followed by the train station/ train service (6 mentions) and the fields, open space and woodland (4 mentions). The worst thing most mentioned was not having a shop (10 mentions) , the lack of transport (4 mentions) and not having things to do (3 mentions). The vast majority of respondents (94%, 17/18) travel by car to get around and in and out of the village. 72% (13/18) say they walk through the village regularly and 50% (9/18) travel by train. A third (33%, 6/18) cycle around the village. 50% (9/18) feel the roads are safe for drivers but this is not the case for other road users. All students think the roads are unsafe for cyclists (100% 18/18), 89% (16/18) feel the roads are unsafe for children walking and 83% (15/18) feel the roads are unsafe for adults walking. 50% (9/18) think that more pavements would improve safety the most. When thinking about the future of the village improving pavements is felt to be very important (83%, 15/18) followed by a regular and reliable train service (72%, 13/18). Rother District Council have said that we need to find space for at least 20 new homes in the village, we have no choice in this but with a Neighbourhood Plan we can say where these should go and what type and style of home they should be. Students feel that families are the most in need of new housing (78%, 14/18), followed by younger people (50%, 9/19) and older people (50%, 9/18). The type of homes thought to be most needed are affordable starter homes (89%, 16/18), followed by low cost rental (50%, 9/18). As for the style of housing, semidetached came out top (67%, 12/18), followed by bungalows (56%, 10/18). Students are more concerned about the impact of the new homes on the environment than the look of the new homes. 50% (9/18) say that the homes using renewable energy and are energy and water efficient is very important and 44% (8/18) think that the homes are built using sustainable materials is very important. 39% (7/18) think the look of the homes from the surrounding countryside is very important. Mobile phone coverage and broadband connectivity is felt to be important too. Off lanes, clutter of house opposite by the rec. 61% (11/18) of respondents feel that having green spaces and woodland areas within the village that are not for development is very important. This is followed by maintaining the views of the countryside (56%, 10/18), and protecting and enhancing nature and wildlife (56%, 10/18). Reducing litter and fly tipping is felt to be the most important environmental improvement (53%, 8/15). When asked to think about the future of health and wellbeing in the village, 47% (8/17) feel having access to exercise and fitness activities and facilities in the village is very important and the same number think having access to a doctor in the village is very important. This is closely followed by neighbourliness and companionship being very important (41%, 7/17). For the future of education 59% (10/17) feel the village primary school is very important. 53% (9/17) feel having access to community internet facilities is very important. 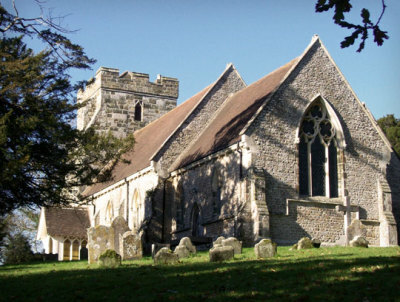 94% (15/16) of all respondents said they agreed with the Neighbourhood Plan’s Vision ‘to maintain the village’s rural character by protecting the countryside and environment around its boundaries, promoting community spirit and enhancing infrastructure, facilities and services for residents of all ages’. The findings from this survey have given the Neighbourhood Plan group a good sense of students’ priorities for the future of the village and we are working hard to make sure these are addressed in the plan. The next phase of work is to identify specific sites of land as areas for potential housing or village facilities and areas not to be developed. It’s great that you took part in the survey and we hope you will stay involved. With your help the neighbourhood plan will set out a blueprint for the future of our village. We visited you all last year! Thank you for telling us what you thought of Crowhurst. What you told us will feed into our Neighbourhood Plan. First up here is the Scouts survey! 3. 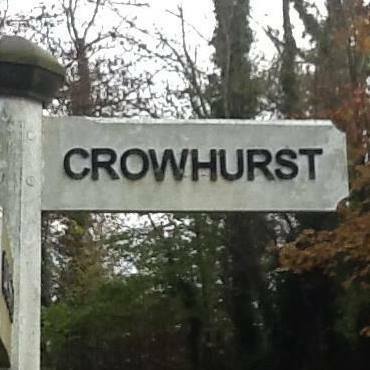 What do you feel is the best thing about living in Crowhust? 4. What do you feel is the worst thing about living in Crowhust? 5. Getting about. Which of the following do you do regularly to get around/in/out of the village? 6. How safe do you think the roads in Crowhurst are for the following road users? 7. 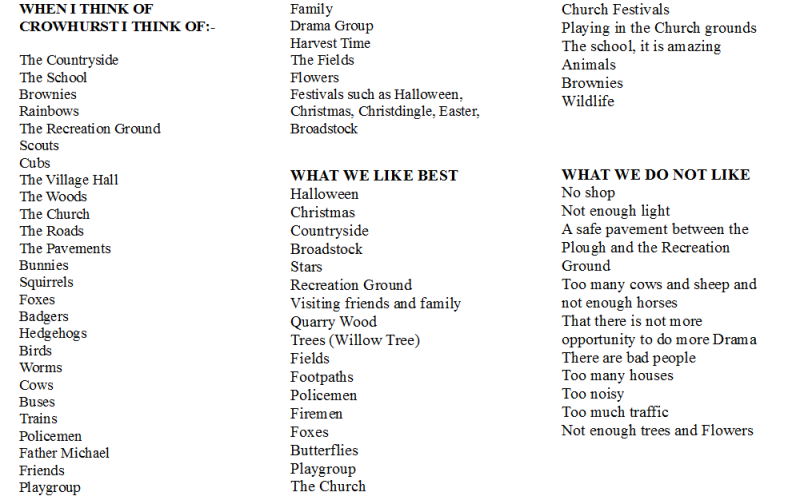 Which one of the following do you think would most improve road safety in the village? 8. Thinking about the village how important are the following to you? 70% think a regular and reliable bus service is important/fairly important. 12. Thinking about the design of the new homes, how important are each of the following? 100% thought it was important/fairly important that the homes use renewable energy and are energy and water efficient. As there was limited time to complete the survey the scouts moved to question 19. 19. Thinking about the future of education and information in Crowhurst how important is the following to you? 20. Thinking about the future of community facilities in the village, how important are each of the following? 22. Thinking about the future of community activities in the village, how important are each of these? 100% thought village events/festivals/fayres to be very/fairly important. 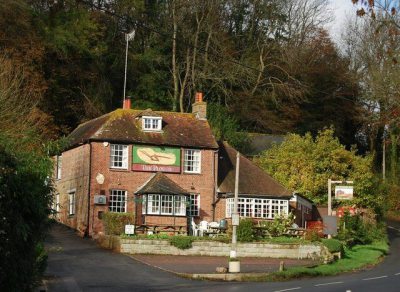 What we can do to improve Crowhurst? Here are some pictures from those vists. Thank you all very much.